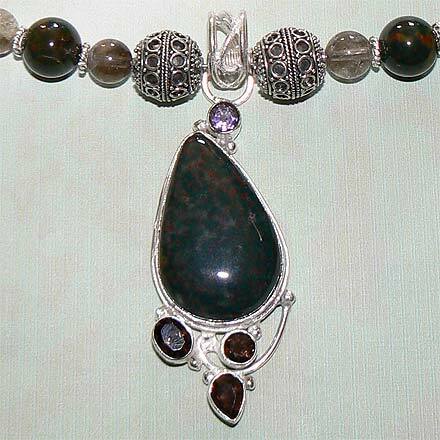 Sterling Silver Bloodstone, Smoky Quartz and Amethyst Necklace. See Closeup. 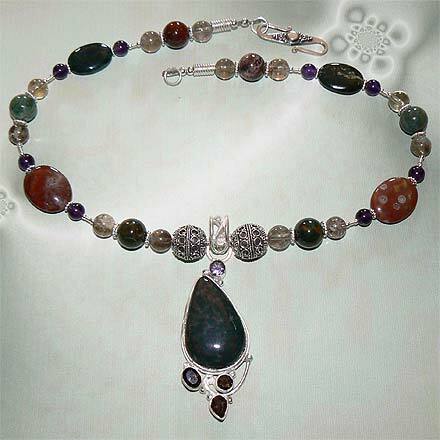 This is a very unusual combination of red and green Bloodstone, highlighted with Smoky Quartz and Amethyst. Although it was spring when I made this set, I can't help think it has a very festive, holiday feel.